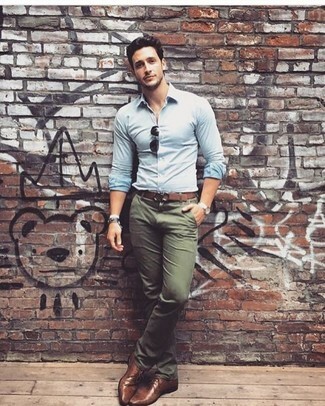 Putting together a light blue dress shirt with olive chinos is a nice idea for a classic and casual outfit. 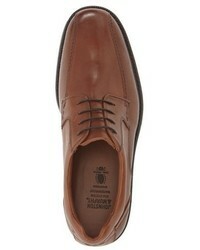 Finishing with brown leather derby shoes is a surefire way to inject an extra touch of style into your getup. For a nothing less than incredibly stylish getup, pair a charcoal suit with a grey short sleeve shirt. When it comes to footwear, this ensemble is round off well with Johnston & Murphy brown leather derby shoes. 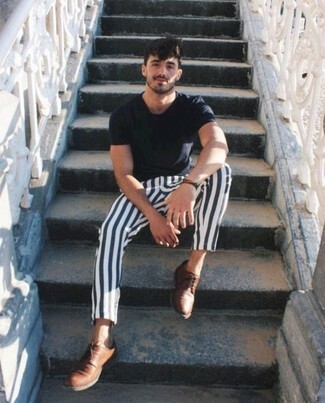 If you're scouting for a casual yet stylish getup, opt for a black crew-neck t-shirt and white and navy vertical striped chinos. As well as totally comfortable, these two items look great when worn together. 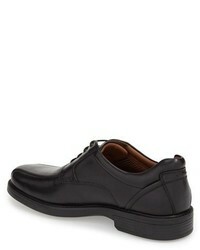 Kick up the cool of your outfit by finishing off with Johnston & Murphy Stanton Bicycle Toe Derby from Nordstrom. If you're on a mission for a casual yet seriously stylish ensemble, try teaming an olive military jacket with grey skinny jeans. Both garments are super comfy and will look fabulous when worn together. 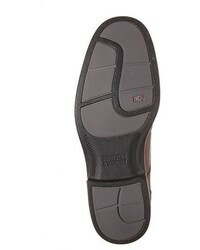 Kick up the cool of your getup by rounding it off with Johnston & Murphy Stanton Bicycle Toe Derby. 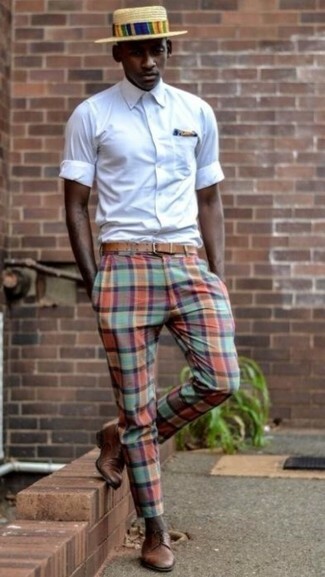 This combo of a white dress shirt and multi colored plaid chinos is very easy to put together in seconds time, helping you look sharp and ready for anything without spending a ton of time searching through your closet. You could perhaps get a little creative when it comes to footwear and lift up your ensemble with Johnston & Murphy Stanton Bicycle Toe Derby from Nordstrom. 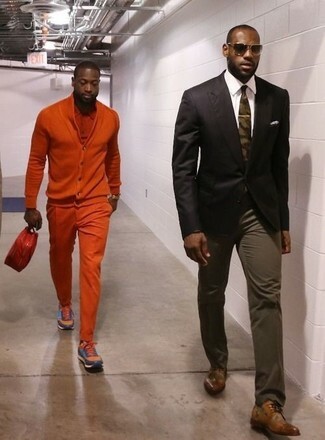 For a nothing less than incredibly stylish getup, try pairing a tobacco double breasted blazer with grey dress pants. For something more on the daring side to finish off this outfit, grab a pair of Johnston & Murphy Stanton Bicycle Toe Derby. Contrary to what you might believe, looking on-trend doesn't require that much effort. 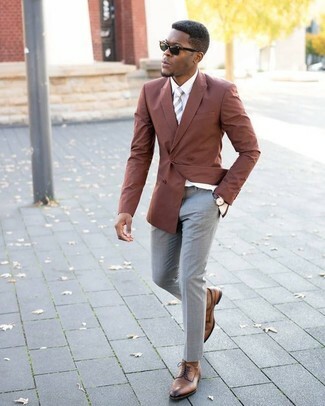 Just reach for a dark brown blazer and brown chinos and you'll look incredibly stylish. You could perhaps get a little creative in the shoe department and elevate your look with Johnston & Murphy Stanton Bicycle Toe Derby from Nordstrom. 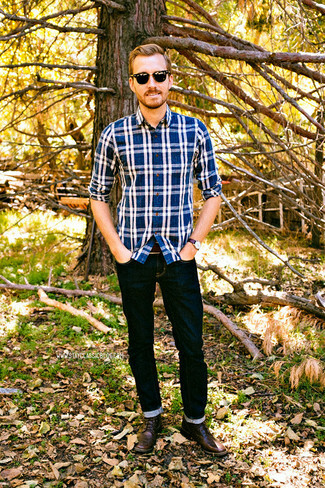 If you're on a mission for a casual yet on-trend ensemble, team a blue plaid long sleeve shirt with navy jeans. These pieces are very comfy and will look amazing when worn together. Lift up this ensemble with Johnston & Murphy Stanton Bicycle Toe Derby. 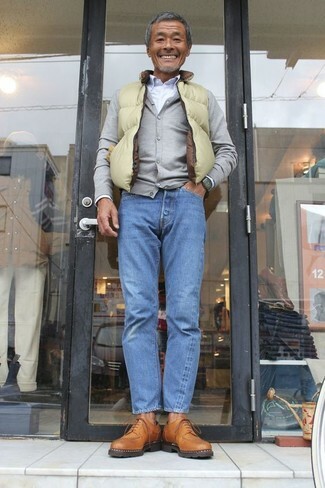 If you're scouting for a casual yet dapper look, try teaming a green-yellow gilet with blue jeans. As well as very comfortable, these two pieces look wonderful together. 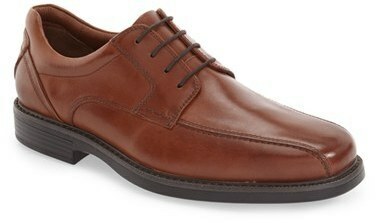 Opt for a pair of Johnston & Murphy Stanton Bicycle Toe Derby from Nordstrom to take things up a notch.